Desert Events and Catering is committed to providing exceptional food, party rentals and services at affordable prices in the Coachelley Valley. We can provide you with all your catering needs from corporate deliveries, pickups, luncheons, weddings, and holiday parties. Desert Events and Catering Party Rentals offers a wide array of rental items from tables, chairs, and chinaware to lighting, linen, tents and dance floors. We offer cutting edge design for every event. We serve all of Southern California, including Orange County, Los Angeles and Riverside Counties. With over 30 years as an industry leader, our experience in catering and event planning and rentals is something you will appricate. Planning an wedding or event is a specific skill that not everybody has, but if you pay attention to the details you can successfully do. In order to be successful when it comes to event planning you need to be organized, have good communication skills, and be able to follow up with various vendors. Without these traits you are very likely to miss some of the important aspects needed when planning a major event. Get plates, eating utensils, tables and linens ready. Decide on music you can use your own stereo, ipod and laptop; or you can hire a DJ. Make a list of shopping items you may need to buy go purchase the items that will not go bad. Choosing the right venue is an important part of event planning. The correct venue can really make or break your event. If you select a venue that is too small there will not be enough room for all of your guests to enjoy your event they way that you intended. If the venue is too large you risk the chance of paying too much money and unnecessarily increasing your costs. The size of your group will help determine what type of venue you will need for your event. If you are planning a small birthday party for a dozen or so guests a restaurant might be your best option as many locations are able to offer you a private room to use for your party, while utilizing the cooking staff they have on hand for the meal. 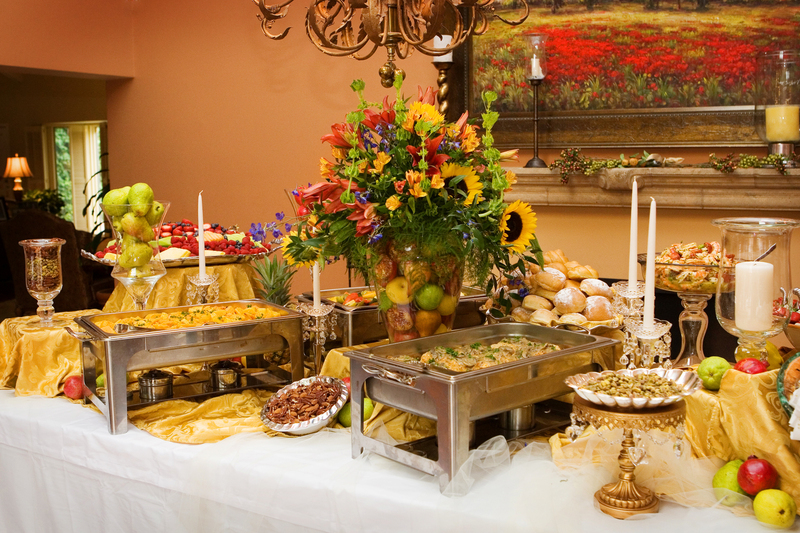 However, if you are planning a large corporate event you may want to rent out a meeting room in a hotel or convention center, where you will be able to hire a catering service to handle all of your cooking needs.